Count 10 sets of 10 blocks and make a pattern with each set of 10. Make a 100 Day necklace. Start by placing one Cheerio (or other circle shaped cereal) on each square of the 1-100 Chart. String onto yarn, taped on one end to prevent fraying. String 10 sets of ringed cereal onto Christmas cord. Use as garland for the tree. 1 little, 2 little, 3 little tens. 4 little, 5 little, 6 little tens. 7 little, 8 little, 9 little tens. Stamp sets of 10 stamps to get 100 stamps! Place numerals in order from 1-100. Roll and Count your way to 100! Roll a die and color in that many squares on a 100's chart. Keep rolling, counting, and coloring, until you reach 100. Have a '100 Hunt'. Write the numerals 1-100 on sticky dots. Hide these around your classroom or home. Let the children hunt for the stickers, collecting them and placing each sticker on the appropriate numeral of the filled in 100's chart. Work in small groups to complete a 100 piece puzzle. 100th Day Penny Count - Count 10 pennies into each circle. Take one penny out at a time and replace with a tally mark for each penny. Exchange each set of 10 pennies for one dime. Count the dimes by 10 to reach 100. Attach 100 paperclips together. Then, find and measure items around the classroom or house that are as long as the chain, shorter than the chain, or the same length as the paperclip chain. Discover a Hidden Picture on the 100 Chart. Give numeral clues for students to color in each square to form a large 100 once completed. Numerals to color: 22, 24, 25, 26, 28, 29, 30, 32, 34, 36, 38, 40, 42, 44, 46, 48, 50, 52, 54, 56, 58, 60, 62, 64, 66, 68, 70, 72, 74, 75, 76, 78, 79, 80. Sample clues: one more than 25, a numeral that equals 30+2, 10+20, one less than 73, the next even number after 56, etc. Fill in the blanks to answer a variety of 100th day questions. Count out 100 pattern blocks. See what kind of design you can make with the blocks. Take a photo of each design. How many numbers can you write in 100 seconds? How many math problems can you solve in 100 seconds? How many words can you write in 100 seconds? How many letters of the alphabet can you write in 100 seconds? How many jumping jacks can you do in 100 seconds? Fill in a multiplication table or an addition table containing 100 problems. How many can you do in 100 seconds? A variation of the above is to have the kids stamp coins into a change purse or piggy bank. Measure 100 feet and 100 centimeters. Read about or find objects that are the same length, shorter, and longer than these measurements. Help find and count out at least three different items around the house that we might have 100 of - pieces of cereal, pasta noodles, hair ties, Q-tips, beans, pennies, etc. Bag each item. Predict which one will likely weigh the most and the one which might weigh the least. Weigh all of the items and place in order from heaviest to lightest. Count out and attempt to stack 100 pennies. How many centimeters tall are they? Work together to make a 100 cup Power Tower! I first saw this idea on Mrs. Gilchrist's Class and she has a free printable for the can! I was able to place 100 'bathroom' cups in a large Pringles' can, 25 cups for 4 kids to make it multilevel (multiplication, subtraction, addition, and a mixture of shapes, letters, and numerals for our youngest). I placed the answers inside the cup. If they said the correct answer, they got to add their cup to the stack. Count by 2's, 5's, and 10's to 100. Do movement each time you say a numeral - hop, clap, stomp, cartwheel, jumping jack, etc.! Read for 100 minutes on the 100th day! Break the time down into ten, 10 minute sessions throughout the day. Write 100 words we know 'by heart'. Add ten new words each day, leading up to the 100th day. Work to think of and write 100 Homophones (50 Homophone Pairs). Sequence pictures and then write a short story about what is happening. Use just 100 words to tell your story! Fill in answers to several 100th Day Questions. Read Matthew 21:16 and then have a '100 Ways to Praise'! Here are some ideas...read 10 verses from the Bible, sing 10 Bible verse songs, recite 10 previously memorized Scripture verses, sing and/or dance to 10 praise songs (or for 10 minutes), pray for 10 different people or families, sing hymns for 10 minutes, share 10 names that the Bible has for Jesus, pray to God and thank Him for 10 different things, recite the 10 commandments, use 10 different items to make a praise banner for Jesus. Complete 100 Gifts from God booklet. Make a poster containing 100 thanks. Have a special 100th Day breakfast using half of a banana, 2 mini donuts, and a slice of bacon. Serve a carrot with two oreos to make a quick 100 snack. Cut out a one and two zeros from cheese slices. Place on crackers. Make a giant cookie with 100 M&M's placed on top! Make a 100th Day snack by having students count out 10 small food items from 10 different bowls. Examples of items: M&M's, raisins, peanuts, goldfish, Chex, Cheerios, chocolate chips, white chocolate chips, peanut butter chips, mini pretzels, etc. - Using paint or large washable stamp pads, make 20 handprints. Count by 5's. Make a snowman by gluing 100 marshmallows onto paper. Use bingo daubers to paint a picture out of 100 dots. Use pipe cleaners to make some fun 100th Day glasses to wear. Make and wear 100th Day crowns! Use a sentence strip for the headband. Attach 10 paper strips to the top edge. Allow children to add 10 of something to each strip - tally marks, stickers, bingo dauber dots, shapes, numerals, etc. Hole punch the top of each strip and place a brass fastener through the holes to connect the strips at the top of the hat/crown. Complete 100 exercises, completed in 10 sets of 10. Here are a few ideas to get you thinking....10 arm circles, 10 toe touches, bounce a ball 10 times, 10 jumping jacks, hop on one foot 10 times, 10 sit ups, 10 log rolls, 10 bunny hops, 10 kicks, 10 alligator chomps, etc. Count by 1`s to take 100 steps. Where do you think we will end up? Would you like ideas for the 100th day that are theme specific? 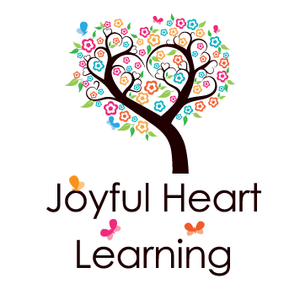 We have several themes for sale over at our Joyful Heart Learning shop at Teacher's Notebook! Come see some of these detective ideas in action over at the blog!